One of the most enjoyable kinds of games available on mobile are turn based RPGs. There’s a ton of these games on iOS and Android. Even better are turn based strategy RPGs based on existing properties. Earlier this year Star Wars: Galaxy of Heroes was released and followed that very same formula. You could create a team of iconic Star Wars characters from across the franchise’s canon and either put them in battle against other players’ teams or put them through story mode depending on their Force alignment. 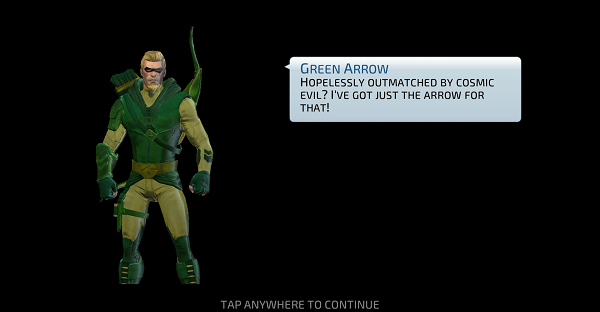 Warner Bros’ DC Legends (also on iOS) is another title that sticks to that tried and true formula. With a looming threat, DC Comics villains and heroes team up in mega-teams to battle the threat of Nekron. 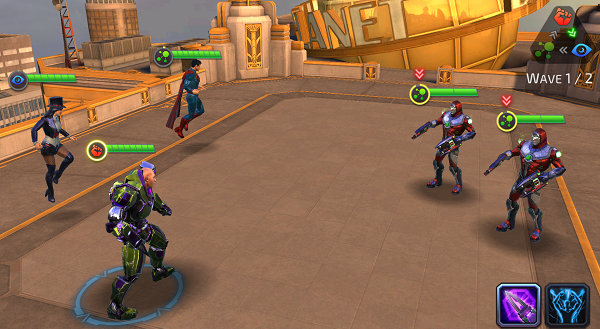 You level up characters, apply skill points to particular stats, and add equipment that will prove useful in fights. 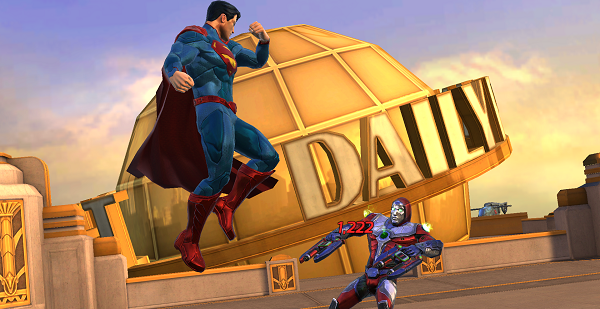 Ultimately it’s Star Wars: Galaxy of Heroes with a DC Comics skin. The main difference here is that DC Legends has action cut scenes for attacks whereas Galaxy of Heroes had attack actions, but didn’t give you anything spectacular. Other than that, you’re mainly playing the same game. Visually the game is great for a mobile title and the audio really matches the overall theme and gameplay. The storyline leading to you creating a team to take on Nekron is just enough to make the idea of the game work. It’s not deep and sprawling, but it works and will keep interested. 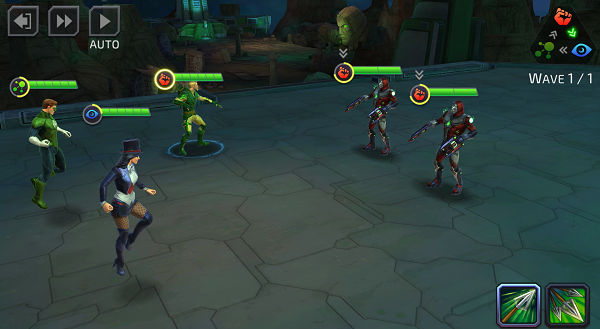 Your main focus—much like Galaxy of Heroes—will be in building your team and leveling your characters in true RPG fashion.